When you’re an avid food lover, you start getting ideas. Not only do you enjoy trying out new places and cooking new recipes, but you also get creative, wondering what you could add to the foodie scene. That’s why this book is great. It brings you hope and helps you develop your creativity while at the same time showing you the changes the food scene keeps going through. 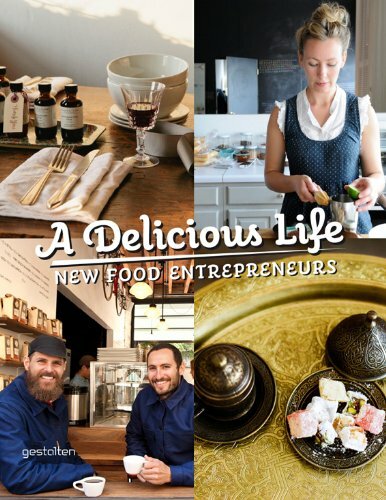 A Delicious Life – New Food Entrepreneurs, talks about the new food movement and the people that made it happen. It takes you into the minds of “groundbreaking foodists who are fine-tuning cooking, baking, and brewing methods”, rediscovering ingredients, inventing new recipes and experiencing food in its most creative state. You get to read about the different personalities behind these food entrepreneurs. You get to discover which tools, utensils, ingredients and events they use. Most importantly, if you’re a foodie at heart, you get inspired to become part of this movement taking place today. P.S. You can check out January’s Foodie book here.